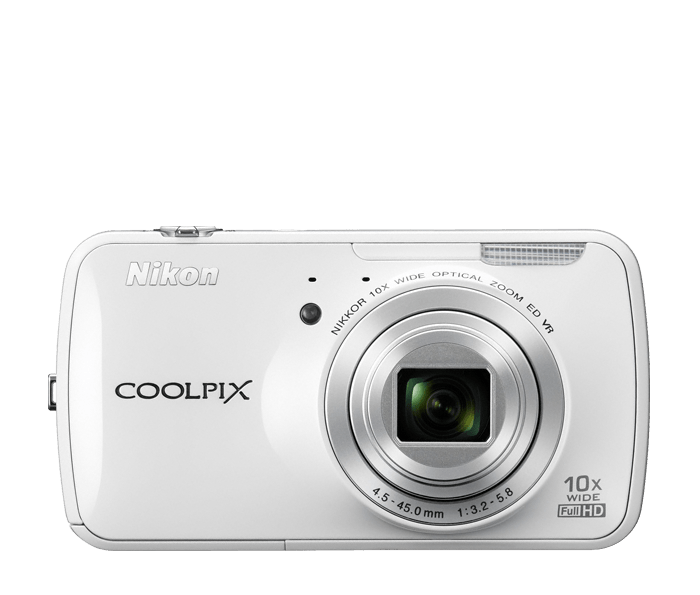 Introducing the most connected COOLPIX yet, S800c with the superior imaging power of a Nikon point-and-shoot camera and all the capabilities of an Android™ smart device. Create beautiful photos and Full HD videos, then instantly share them right from your camera—email them to friends, post them on Facebook, upload them to my Picturetown or wirelessly transfer them to your laptop, smartphone or tablet. You can even install popular Android photography and social networking apps, available on Google Play™! It's an all-in-one smart device that will change the way you create and share memories. Your friends and family love seeing what you've been up to. Now you can share all your stories through beautiful Nikon-quality photos and videos. Capture the moment in 16.0 megapixels of brilliant clarity and then instantly share to Google+™, Facebook, Twitter, Nikon's my Picturetown, with your email contacts—however you normally share online! Plus, you can wirelessly back up your photos and videos or offload your memory card contents in an instant and keep shooting. It's simple, it's fast and it's totally wireless. The COOLPIX S800c is more than a camera—it's also an Android™ smart device with a 3.5-inch high-resolution touchscreen. That means you can do all the things one can do with an Android™ smartphone or tablet. Check your email and Facebook. View photos and videos from your friends. Browse the web. Stream music. The possibilities are endless. Plus, you get access to all the amazing Android™ apps on Google Play, including thousands of photography and video apps for taking, editing and sharing photos and videos. Explore black & white photography, selectively highlight one color within a composition, create wider-than-possible Fisheye shots or give your photos an antique feel with Nostalgic Sepia. For even more options, browse thousands of popular Android™ photography and video apps. How will these exciting new possibilities inspire you? The COOLPIX S800c has built-in GPS, so you can show exactly where every photo and video was taken. You can even share that info when you post to sites like Facebook. Integrate your geotagged photos and movie files with Nikon's my Picturetown photo sharing site, Google Maps™ and Nikon ViewNX 2™. No one will mind when you tag them in your photos, thanks to Nikon's Smart Portrait System. It optimizes your camera settings, identifies and focuses on faces, adds subtle skin softening and more to ensure everyone looks their best. With the touch of a button, you can record professional looking Full HD (1080p) videos with stereo sound. Then you can watch them, or videos from the web, on the COOLPIX S800c's bright high-resolution 3.5-inch OLED touchscreen. Since the COOLPIX S800c is powered by the Android, you have access to the thousands of apps on Google Play—everything from photo and video editing apps to social networking apps, games and more.